Tiger Flying Club began its existence at Martin State Airport in Baltimore with a Cessna 152 (N6529L - top) in the 1970s. The founder, being an alumnus of Princeton University, named the Club after the team mascot. 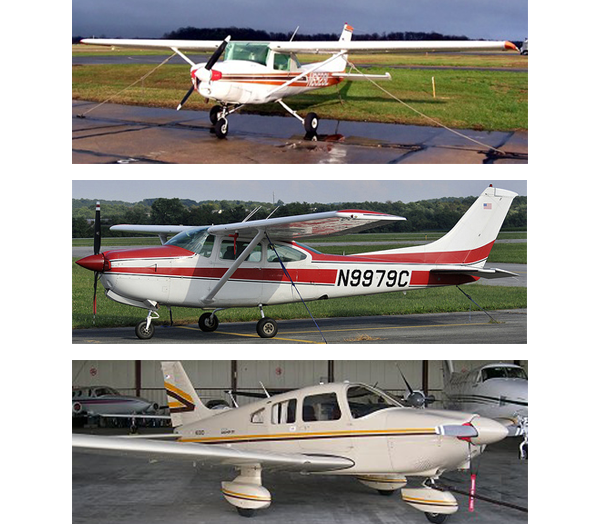 Through the years TFC increased its membership and expanded the fleet to three aircraft, adding a Piper Archer and a Cessna 182RG. During the 1980s and 1990s the Club was large and very active. Because of very high maintenance cost associated with complex aircraft and the downturn in general aviation after 9-11, it became apparent that the Club needed to go in a different direction and downsized to a single Cessna 172M – the current N9107H.